A new study from NORMENT - Norwegian Centre for Mental Disorders Research - shows an overlap in genes involved in mental illness and intelligence. 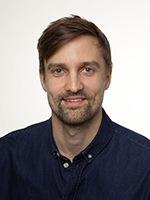 Postdoctoral fellow Olav B. Smeland and colleagues found that risk genes for bipolar disorder were associated with higher intelligence. Smeland and co-authors investigated DNA from more than 400.000 people, including 20.000 patients with bipolar disorder and 35.000 patients with schizophrenia. They found that 12 risk genes for bipolar disorder were also linked to intelligence. In 75 % of these genes, bipolar disorder risk was associated with higher intelligence. In schizophrenia, there was also a genetic overlap with intelligence, but a higher proportion of the genes was associated with cognitive impairment. Genome-wide analysis reveals extensive genetic overlap between schizophrenia, bipolar disorder, and intelligence. Smeland OB, Bahrami S, Frei O, Shadrin A, O'Connell K, Savage J, Watanabe K, Krull F, Bettella F, Steen NE, Ueland T, Posthuma D, Djurovic S, Dale AM, Andreassen OA. Mol Psychiatry. 2019 Jan 4. doi: 10.1038/s41380-018-0332-x. The centre is based on a collaboration between three partners: The University of Oslo (host institution), the University of Bergen and Oslo University Hospital.